Orlando is one of 10 cities selected to participate in the City Energy Project, a national initiative to create healthier and more prosperous American cities by improving the energy efficiency of large buildings. 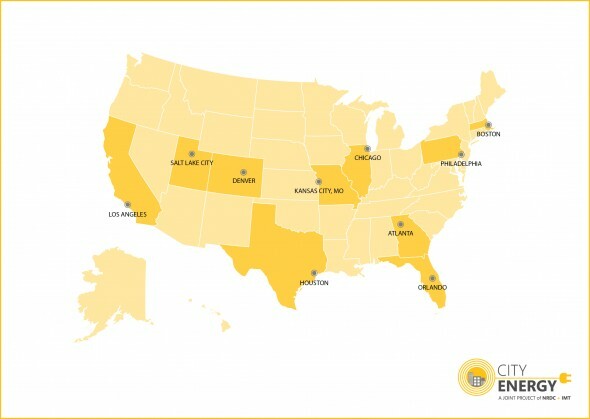 In addition to Orlando, the other participating cities include Atlanta, Philadelphia, Boston, Chicago, Houston, Kansas City, Denver, Salt Lake City, and Los Angeles. Working in partnership, the Project and the City support innovative, practical solutions that cut energy waste, boost the local economy, reduce harmful pollution, and keep Orlando a leading city. The City of Orlando is leading by example: As of summer 2015, the City of Orlando has made an $18M energy efficiency investment in public buildings, conducting audits and retrofits in more than 55 municipal buildings. At completion, this project will save the City up to $2.5 million per year in energy costs and the savings will help pay for the cost of the new police headquarters currently in construction. Participation in the City Energy Project will help Orlando’s commercial building owners and operators reduce energy consumption, save money, and reduce carbon pollution while expanding Orlando’s energy services economy, encouraging the growth of clean energy jobs, and keeping Orlando competitive. PROMOTE EFFICIENT BUILDING OPERATIONS: Strong building energy performance can be achieved through efficient operations and maintenance and the training of facilities personnel. ENCOURAGE PRIVATE INVESTMENT: Common-sense solutions to financial and legal barriers to energy efficiency will increase private investment in building energy improvements. SHOW CITY LEADERSHIP: Cities should lead by example and reduce taxpayer-funded energy consumption in municipal buildings, and encourage the private sector to match their actions. See the impact of these policies and programs on Orlando or read more Orlando’s CEP.